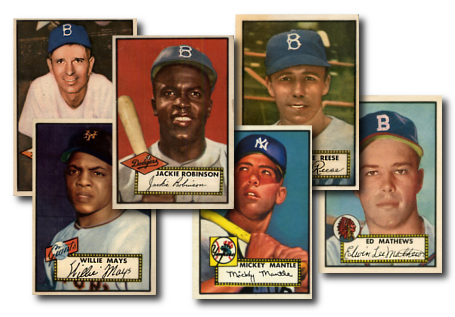 See the more affordable 1952 Topps Reprint Set! 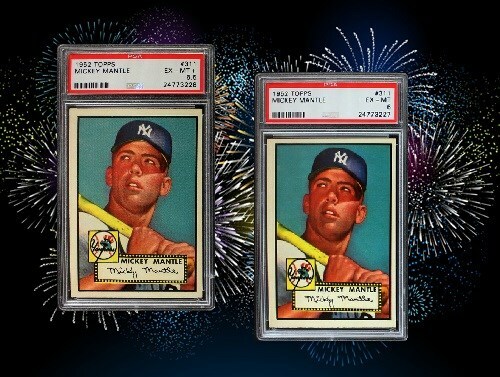 Check out our 1952 Topps Mickey Mantles! 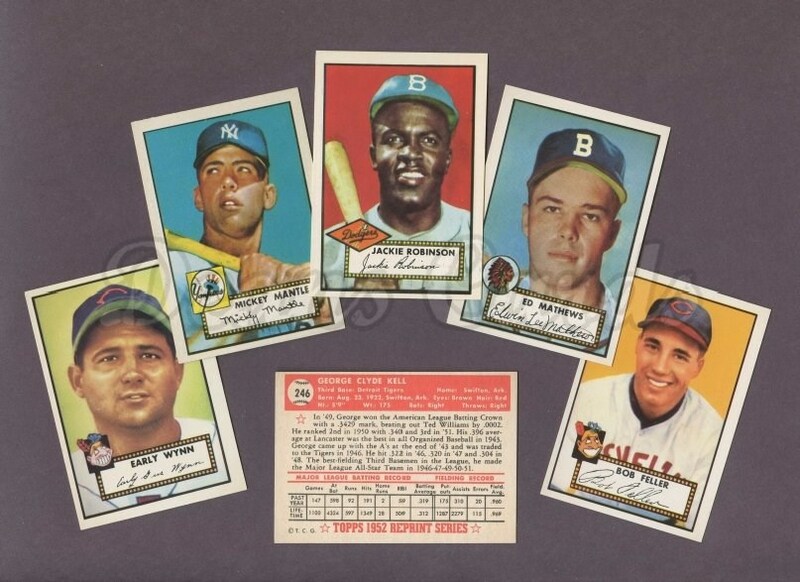 The 1952 Topps Baseball Card Set has 407 cards that measure 2 5/8" by 3¾". The 1952 Topps Baseball Card Set is the most popular sports card set ever produced and surpassed all earlier sets in size, quality and quantity, and has the most recognizable post-war card in #311 Mickey Mantle. The 1952 Topps Set was released in six series. The 1952 Topps 1st series, cards #1 to #80, were printed with both red and black backs and can both be commonly found. The 1952 Topps 3rd Series cards, consisting of cards #131 to #190, occasionally appear in a "gray back" variation, in addition to the standard "cream" colored backs. The 1952 Topps high number series, cards #311 to #407, were released late and in very small numbers. The 1952 Topps Rookie Cards include: #175 Billy Martin, #372 Gil McDougald, #392 Hoyt Wilhelm, #406 Joe Nuxhall and #407 Eddie Mathews. CLICK HERE if you want to sell your 1952 Topps Baseball Cards. Showing 1 to 100 of 437 products.